TNG Wallet has been selected as an e-ticketing outlet for HKTDC's Hong Kong Book Fair 2016. Other than TNG Wallet, the Hong Kong Book Fair tickets can also be purchased through other e-channels, such as HK Ticketing. TNG Wallet members are now able to book their tickets to the fair using the coupons and tickets function of the app. Purchasers will be allocated a QR code representing their tickets within the TNG Wallet app that can be used to secure entry to the fair. 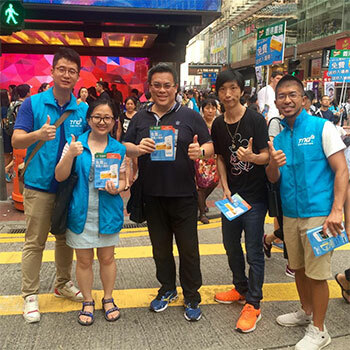 In a bid to promote further adoption of the digital wallet app, TNG is offering 100,000 free tickets to the fair to new users signing up to the service. In recent years the fair has attracted over one million visitors. The fair itself is also offering TNG Wallet members who purchase or redeem regular tickets for the July 20 or 21 fair the ability to reuse the same tickets for admission on the 22nd, 23rd or 24th of July after 7pm. TNG Wallet CEO Alex Kong said the move represents the latest in a line of expansion activities for the digital wallet service. “It has only been eight months since TNG Wallet’s launch and we are proud of its achievements. We started out by collaborating with merchants on top-up and purchase offers, but have never stopped innovating and developing lifestyle and convenience-enhancing functions to meet merchant and user needs,” he said.